Our unique class is approximately 4 hours long, and taught in our range, after a safety briefing. In this class, we will discuss unconventional shooting positions, movements, clearing techniques, and the most important thing: the reasons behind the tactics. This pistol course is geared towards active shooting positions and techniques, providing you with the skills needed in an emergency situation. Each new skill you will learn with repetition and practical testing. It’s important to test new skills while under simulated stress to imprint long lasting muscle memory. 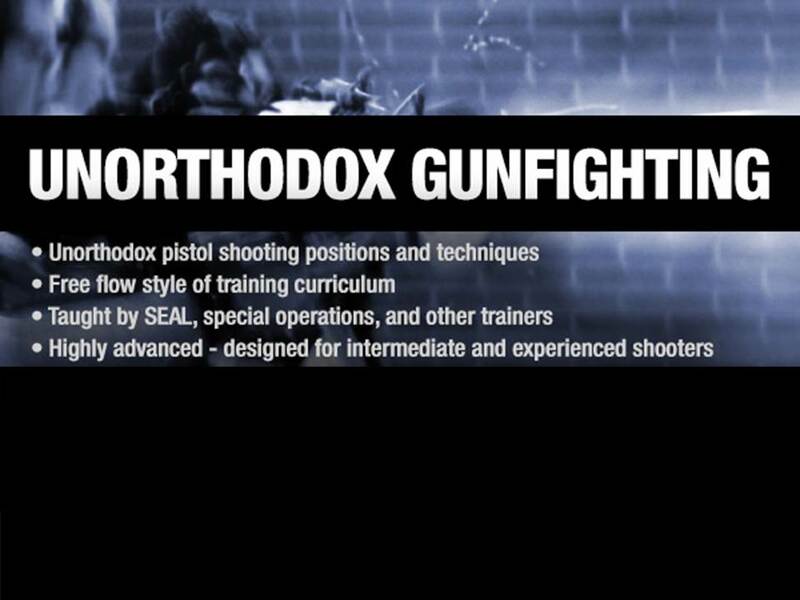 The course is taught by SEAL, special operations and other trainers covering highly advanced skills. There will be a very high volume of shooting in this course. Requirements: Intermediate to expert shooter. Bring: Your pistol and pistol kydex OWB holster (no inside the waistband), 3-5 pistol magazines, magazine pouch (double magazine pouch recommended), 500+ rounds of ammunition (speed loader recommended). While this class is geared towards people who carry or train with firearms, it is just as stimulating for experienced shooters who don’t carry firearms every day.